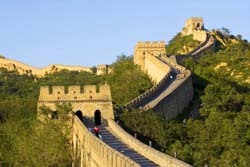 Trip highlights: Pre-cruise tour: Fly to Beijing, take 3-day tours, board your cruise at Xingang Harbor. Good for people taking Princess Diamond Cruise from Beijing to Bangkok, Vancouver, Whittier. Pickup from Beijing airport, transfer to the hotel in Beijing downtown. Relax the rest of the time. If you want to take a walking, recommend you to take a walk on Wangfujing Streeet, the most busy shopping area in Beijing. [ Optional ] Wangfujing Streeet: It is the grandest shopping area in Beijing, congested with modern shopping malls, such as the Oriental Plaza, Wangfujing Department Store, etc. It is also home to a wealth of hotels and specialty shops. Around is an afflicted snack street where you can enjoy the most authentic Beijing snacks. 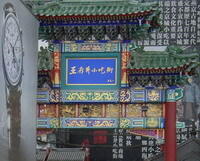 Sightseeing tours in Downtown Beijing. 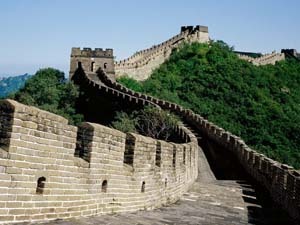 Visit Mutianyu Great Wall and Summer Palace. At night, the rest time leaves to yourself to explore the city on your own. 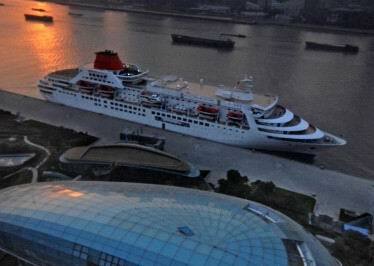 Morning pick-up from the hotel before 10:00am and transferred to Xingang Harbor, to board your cruise. Tianjin Tianjin is located in Northern China along the coast of the Bohai Gulf. It lies at the northern end of the Grand Canal of China, which connects with the Yellow River and Yangtze River. [ Optional ] Xingang Port, Tianjin: You might take bullet train from Beijing to Tianjing. Then take a taxi, drive along Tang Jin Highway (SOUTHWARD: 4.9 KM), then turn to G103 Road (EASTWARD: 4 KM), drive along Shanghai Avenue (EASTWARD: 4.3 KM), then to Xin Gang Road (442 M), the next is Xin Gang Yi Hao Road (3.3 KM), eventually you will find passenger terminal at the end of this road.